DyanPier was designed to be the strongest foundation pier in the industry by combining steel and high strength concrete. It is installed centrally beneath the footing rather than outside of the footing, thus transferring the structural load directly on top of the pier. The DynaPier will achieve the greatest depth while installed in a position to provide the greatest support. DynaPier manufactures the world's strongest and deepest pier. The concentrically loaded pier was engineered to be the strongest pier on the market. Learn more about how our pier is installed by watching our video here. Rayview Construction uses the best foundation pier on the market. 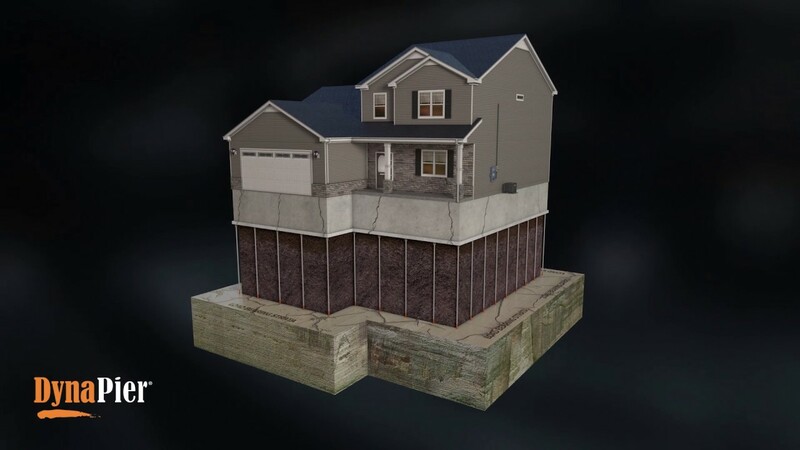 The pier system that we use will exceed the home’s original structural integrity, making the foundation better than new. SCHEDULE YOUR FREE QUOTE TODAY!